Left: Trying the unique Lamborghini Marzal show car for size in Italy. The man behind CarOpinion and AEM is Paul Blank, who has always been a car enthusiast, involved in many aspects of motoring. He has a BA in Industrial and Product Design and had turned his skills to creating some fascinating car conversions several years ago. His first business was Automagination, specialising in accessories and conversions for upmarket cars. Automagination was the Western Australian Distributor for brands including Momo, Recaro, Zender, AMG, BBS, Zymol and many others. 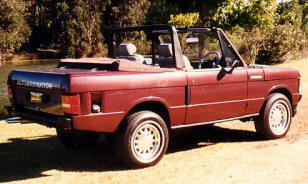 Designed by Paul, the Automagination Range Rover Convertible was one of the company's best known products, with fourteen examples having been built. Automagination also made several BMW E21 3-series convertibles to its own unique design. Many Mercedes-Benz, BMWs, Jaguars and Porsches also got the Automagination treatment over the years the company existed - ranging from dramatic to subtle conversions. He also part-owned and helped establish Autostrada Imported Wheel Centre during this period. Paul's involvement in Car Clubs has been considerable over the years. He has been an active member of many clubs, including being the founder or one of the founding members of several clubs. He's served on many committees, including terms as President of the Council of Motoring Clubs, Mercedes-Benz Car Club, BMW Club, Ferrari Club, Microcar Club, Motoring Historians WA and is the Australian representative for Amicale Facel Vega, the international club for the French marque. He's also been a member and committee member of many other clubs. He is presently on the committees of the Fiat Lancia Club, French & Fantastic Club, Special Interest Vehicle Association and Council of Motoring Clubs. For eight years Paul was on the committee which ran the annual Classic Car Show, including as Chairman, ultimately holding the first event which ever used the Burswood Dome - the only ever indoor Classic Car Show. He was a judge for the state Concours d'E'egance several times. Paul has served on committees running several different National Rallies over the years (including Ferrari, BMW, Mercedes-Benz, Citroen, Fiat-Lancia), including acting as Chairman of some, and has attended many interstate and several international rallies overseas. 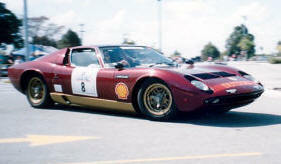 This car club involvement saw Paul competing in, then helping run a great number of motorsport events over many years. This, in turn, lead to him creating the Classic Rally, first run in 1992. As the second such event in Australia, this became a huge event with up to 160 cars competing in stages held over three days, with international and interstate participants and an incredible variety of cars. Participants included names such as Peter Brock, Sir Jack Brabham, Janet Holmes a Court, Garth Tander, Ross Dunkerton and John Goss. Unique venues were used, including Forest Place in the city centre, Reabold Hill, Northbridge and more. 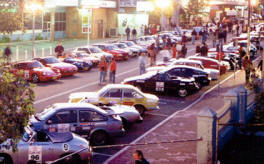 Classic Rally was the first event to use Whiteman Park, the Collie circuit and hillclimb and several other venues frequently used since. Cars from Bugattis to Goggomobils competed. The event attracted huge spectator crowds and media attention. Classic Rally won the CAMS New Event of the Year award in 1992. Click this link for more about Classic Rally. 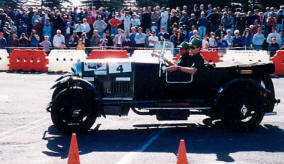 The creation of Automotive Events Management to run the Classic Rally, led to a whole series of other motorsport events which spanned over twenty years - the Classic Challenge, the Superkhana Series, the One Day Classic, Classic Navigation Rally and the Classic Quarter Mile Sprints as well as many others. 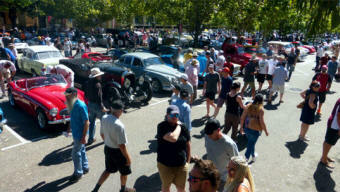 The last-mentioned of these drew crowds of over 3000 people to the Swan Valley to see a tremendous variety of vintage through to modern supercars doing quarter mile sprints. Other non-motorsport events were also created, including parades, shows and more. AEM has been subcontracted by many other groups including Rally Australia, The Perth Motor Show, the RAC and Top Gear Live. 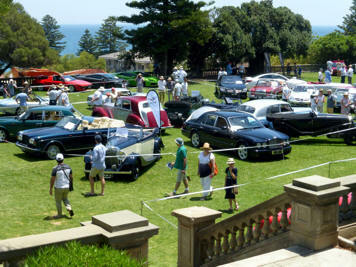 AEM was also a key contributor to the major Australian Concours d'Elegance held in Sydney in 2010. AEM created the Symphony for the Car parades run with a major radio station. One of the most enduring of Paul's event creations has been Celebration of the Motorcar, an up-market car show featuring the best of the best cars only, displayed by invitation. 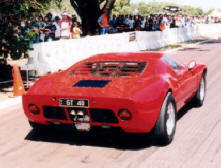 Held for the first time in 1993 ain the grounds of the Cottesloe Civic Centre, it quickly became recognized as one of the best car events in Australia, winning The West Australian event of the Year award in its first year. The beautiful venue, wonderful array of hand-picked cars, live performances of classical music and unique atmosphere create a memorable event. Several new model prestige and sports cars have made their debut at the event over the years. For two years the show expanded to being held in Adelaide as well, with the same formula translating very well interstate. 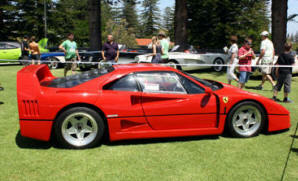 The grounds of Carrick Hill house were filled with incredible cars and big crowds appreciating them. 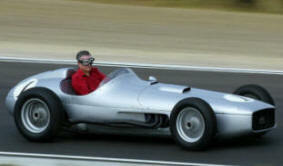 The event has had an association with the National Motor Museum since its inception. Visit www.celebration.org.au for more information. Paul has been an adviser to the Department of Transport for many years for the Unique & Historic category of Concessional Licensing which he helped create. He has been the Secretary of the CMC Technical Advisory Committee since its inception. Over the years, Paul has been a board member of two car museums and was also the creator of the French Car Day. He is also an approved Valuer for the Federal Government's Cultural Gifts Program, which allows institutions to expand their collections by donations of objects from the public, who in turn receive tax benefits. His area of speciality is Transport and associated items. His list of clients include: The National Motor Museum, Powerhouse Museum (NSW), The National Museum of Australia (ACT), The Sir Henry Royce Museum (Vic) and The Australian Motorlife Museum (NSW) as well as many others. He also conducts valuations for law firms, insurance companies and other special purposes. For many years Paul has been involved in conducting Collector's Cars Auctions, working with several leading companies as a Consultant including Wemyss, Sotheby's, AKT Landmark, Perth Classic Car Auctions and Bonhams & Goodman - in most cases as Senior Specialist. He has been involved in conducting auctions in News South Wales, Queensland, the ACT, Western Australia and New Zealand. Also for many years, Paul been a motoring journalist, contributing to publications around the globe, including Unique Cars in Australia, Classic & Sports Car (UK), Australian Classic Car and he was the Motoring Editor for Scoop magazine for several years. His writing has appeared in print in the USA, France, UK and Australia. As a motoring writer Paul has road tested hundreds of cars and been able to get the inside story on a lot that has happened in the automotive world. It's seen him interview some of the greatest names in the car world, drive fabulous cars and have unique experiences. The photo left shows Paul at the wheel of the unique Maybach 3 racing car at Barbagallo Raceway for a feature story in Unique Cars (photo: Paul Kane, PRK Photo). He is presently assisting with the production of an international television series about cars. Much from Paul's experiences as a motoring journalist can be seen in the pages of CarOpinion. 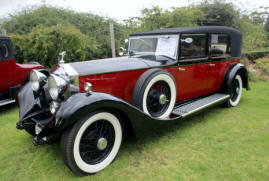 Paul's own cars have included the broadest variety of cars, usually with a mix of classics and modern cars at a time. Brands he's owned include: Citroen, Mercedes-Benz, Lightburn, Rolls-Royce, Maserati, Cadillac, Renault, Alfa Romeo, Jaguar, BMW, De Tomaso, Honda, Studebaker, Rover, Skoda, Lancia, Volvo, Triumph, Seat, Moke, Audi, AMG, Peugeot, NSU, Fiat, Volkswagen, Mazda and Facel Vega, with some very rare versions and multiple examples of many of these marques. Some cars he's owned are shown below and illustrate the variety he likes. Paul has travelled extensively (including 20 trips to Europe, plus the USA, New Zealand and South-East Asia) and has attended many great international car events as well as visiting significant and obscure car collections and museums around the globe. He has toured Lamborghini, Mercedes-Benz, Porsche and Rolls-Royce factories, been a special guest at the Beverly Hills Concours d'Elegance and seen some spectacular private collections. Having been to the Monaco Grand Prix, Mille Miglia, Le Mans 24-Hour race, Concorso d'Eleganza at Villa d'Este, Automedon, Paris motor show and many other such events, he decided to host tours for car enthusiasts to Europe so they could enjoy such events as well as visiting great car museums, collections and enjoy the culture of Europe. In 2005 his first tour The Ultimate Grand Prix Experience was held, which included the Monaco Grand Prix and the opportunity for participants to drive an F1 car themselves on a race track. These tours have continued since, with other specialist tours (special Italian and French tours, plus Porsche Club tours) ever since, giving participants unique experiences and benefitting from Paul's contacts and "encyclopaedic automotive knowledge". See details of Automotive Tours here. Paul helped develop the Touring Road Event regulations for CAMS, with the late John Blanden, and he was a member of the CAMS Panel for Touring Road and Navigation Events, as Deputy Chairman. Later, when AASA required a set of regulations for road rallies, Paul developed those. 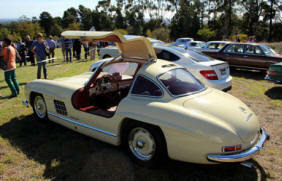 For many years Paul has advised enthusiasts and collectors about their cars and collections. With so many good contacts around Australia and throughout the world, Paul has also been working as a Classic Car Broker, helping find cars and sell cars for owners, specialising in classic and exotic cars. He has helped find new homes for some especially rare cars and helped with building up some special collections. Paul's extensive knowledge and contacts can help find rare and unusual cars as well as more popular classic and exotic models for buyers anywhere in the world. Please contact if you have a very special car you'd like Paul to help with. Some cars he's found new homes for below. Click here to see some cars which are currently available.